Are you looking for a unique Florida vacation rental that will allow you to enjoy all the natural beauty and charming culture of the state? How about combining beach with wildlife by visiting New Smyrna Beach as well as the St. Johns River? Book your stay at Tropical Resort & Marina, centrally located for many great Central Florida attractions, including the charming town of New Smyrna Beach. Great for families, nature buffs, and fishing enthusiasts, Tropical Resort & Marina gives the discerning vacationer a new view of central Florida. If you’re looking to visit New Smyrna Beach for your vacation this summer, why not mix it up with a vacation rental at Tropical Resort & Marina? 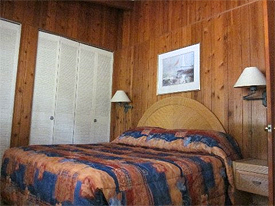 Our available rentals include RV hookups and fully furnished studios and hotel suites with one, two, or three bedrooms. Amenities include laundromat, pool, campground, boat rentals and ramp, and a snack shop. The beautiful property, waterfront location, and old Florida charm combine to make this a quiet and peaceful spot for those wishing to add an inland element to their Florida beach vacation, whether you visit New Smyrna or any of the other beautiful area beaches. Tropical Resort and Marina is conveniently located close to many central Florida vacation hot spots including New Smyrna Beach. Many patrons return year after year from all around the world, and they can attest to the great location and beautiful surroundings. Enjoy swimming, surfing, long walks on the beach, quaint art galleries, miniature golf and shopping in New Smyrna just a short drive away. New Smyrna Beach is home to attractions such as Marine Discovery Center, Sugar Mill Ruins, The Little Theatre of New Smyrna Beach, Turtle Mound River Tours, Black Heritage Museum, New Smyrna Museum of History, New Smyrna Speedway and plenty of golf courses. When you plan your next central Florida vacation, give Tropical Resort & Marina in DeLand a try. Enjoy good fishing and a gorgeous natural setting, comfortable accommodations, and a convenient location that will allow you to enjoy beachside fun in New Smyrna and other area beaches, as well as old Florida charm and the beautiful St. Johns River.